An article about power inverters and choosing the right one for you. 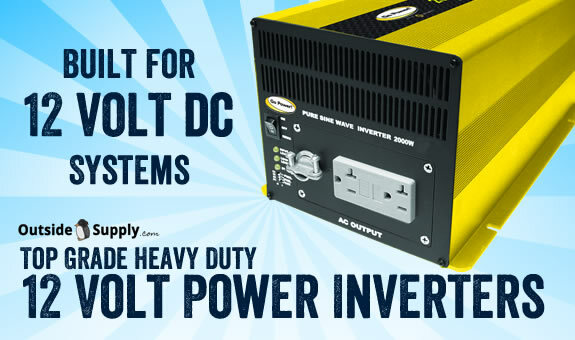 There are many types of power inverters on the market today. OutsideSupply.com is currently recommending Pure or True sine wave inverters for most applications. This is because power inverter prices have fallen. With the lower price of true sine wave inverters, a good high quality sine wave inverter will be better for your electronics and also will most likely last longer since they are often a higher quality than their cheaper modified sine wave cousins. In this article I hope to lay out a bit of information on power inverters that will get you ready to purchase or ask questions about what inverter will best suit your application. A power inverter should be something that you purchase based on your need, not based on price alone. This means the most expensive inverter may not be right for you, just as the cheapest one may not either. Get matched with the proper inverter for your application and you will often not even realize it is there. This is because your inverter will just do its job and mind its own business. After all, its job is to produce power, not be a source of headaches. What is a pure or true sine wave inverter? What else should I consider when looking for a power inverter? Other items to consider when choosing a power inverter are brand, inverter physical size, wattage rating, input voltage, installation accessories, features and warranty. When choosing a brand, look for one that stands behind its product. Don't shop for the "all marketing" brands. Our brands are reliable and consistent. We can't afford a lot of returns, so we carry what I consider the best brands on the market. Here is some information on Go Power Inverters. The Physical size of an inverter is important to consider. Will the inverter install into the area you have available? If it does, will it reach the battery bank within a proper distance? Also figure on buying an inverter with the proper DC input voltage. 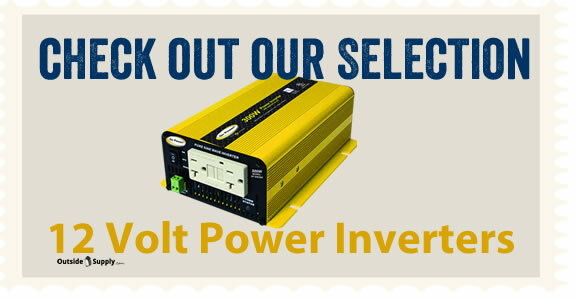 Here is an article on choosing from different Power Inverter Input Voltages.